The annual hedge fund income list was released this week and once again it will take your breath away. 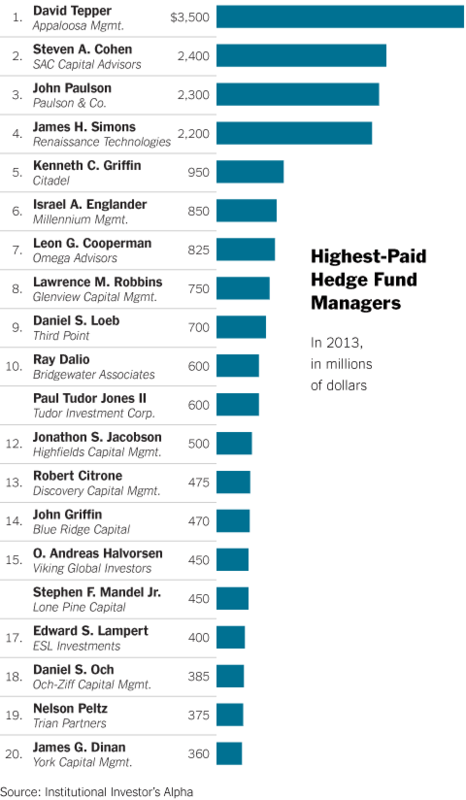 There were four hedge fund managers that made over $2 billion in income last year (that's billion with a B), and David Tepper topped the planet at $3.5 billion. It is fascinating to me that we live in a world where someone who pushes a few key strokes on a computer throughout the year can takes home 3.5 billion dollars. Appaloosa management, Tepper's hedge fund, adds almost no value to society as a whole. He employs a measly 32 employees. A few weeks ago there was outrage that Google's executive chairman, Eric Schmidt, took home over $100 million in annual pay last year. Google employs over 46,000 people and creates products that arguably benefit the lives of almost everyone on the planet (I feel like I use Google for just about every aspect of my life that involves technology). 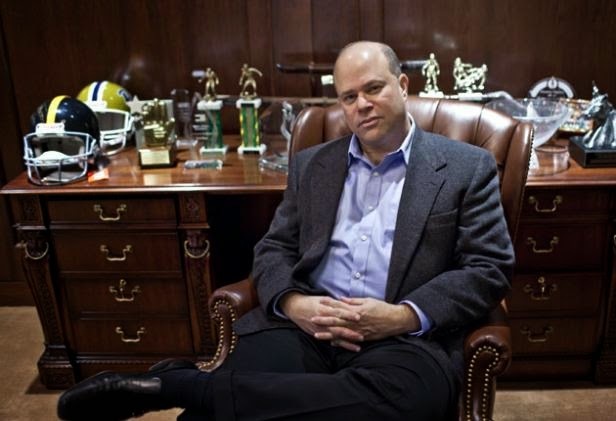 I am not trying to say that David Tepper is a bad person. He is extremely charitable, and I enjoy listening to his thoughts on the financial markets when he visits CNBC. Perhaps the $3.5 billion is just a snap shot in time of how ridiculous the world has become, and I commend David Tepper for taking advantage of it. Good for Him. Everybody put there worth in a Dollar Value! Be mad at yourself if you feel his value is to high. Its probable yours is too Low!